Learn more about our wonderful team at Providence Pilates Center! Cheryl has studied pilates since 1999 and opened her own studio in 2001. Cheryl is a certified trainer with the Power Pilates program. She has studied pilates since 1999 and opened her own studio in 2001. Cheryl studied gymnastics and dance in her youth and began teaching aerobic fitness classes in college. She began her pilates training with Classical pilates, became certified by the PhysicalMind Method, and then found her niche with the Power Pilates program. Cheryl achieved Teacher Trainer Status for the Power Pilates Program in 2012 and is one of two Teacher Trainers for the program in New England. She has also attained the Pilates Method Alliance (PMA) certification. She completed the Vertical Workshop with Shari Berkowitz, the MeJo Wiggins Classical Syllabus and is currently enrolled in the Kathi Ross-Nash Red Thread Program. She has attended numerous conferences, classes and continuing education courses for her pilates studies. Some of these include Pilates for Golf, working with special populations with injuries, Pilates for Osteoporosis clients, and Pilates for Athletes. She has been certified in group fitness programs, spin, and TRX. She is certified in the Pink Ribbon Pilates Program for post-rehab breast cancer survivors. Cheryl holds a Masters in Social Work from Boston College and was a practicing LICSW from 1995 – 2001. She has found that her background as a therapist has helped her have a successful business and look at health from the mind/body perspective. When not in the studio, she is most happy at home hanging out with her family. Sara started taking Pilates while living in Cuernavaca, Mexico. After moving to Providence, she found Providence Pilates Center when she won a silent auction gift certificate. As the studio grew and Cheryl needed administrative support, Sara moved into this role. Now she works on the schedule, newsletter and, everyone’s favorite, payment. When she is not in front of the computer, she can be found taking Pilates classes, caring for her three kids, walking around the East Side with her dog, writing picture books and talking about food. Katie has had a seventeen-year career as a Pilates teacher and is certified through Pilates Method Alliance. As a dancer, she spent her early professional years working in Philadelphia, where she began training with Katherine Livingston and teaching mat at Philadelphia Sports Clubs. She continued her Pilates training here in Rhode Island with Catherine Cuzzone (NY Pilates Studio) and Jen McWalters. With a sound understanding of the Pilates tradition, Katie has enjoyed fusing somatic concepts into her teaching to enhance the mind-body experience. Her dance background has highly informed her Pilates teaching, particularly within ideas of anatomic imagery, rhythm, breath, direction, balance and the love of movement. 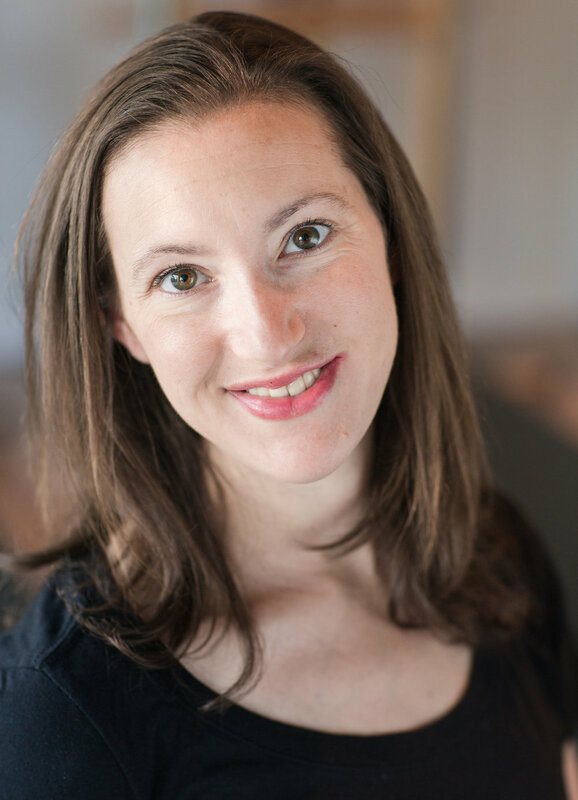 Katie also teaches dance technique, composition and theory and holds a BA in Dance and Anthropology from Connecticut College and an MFA in Dance Performance from University of Wisconsin, Milwaukee. Tracy has been in the fitness industry for over 27 years. For 19 years, she was the owner of the Body firm Aerobics & Exercise Studio where she taught an array of group fitness classes. She has experience with step, toning, kickboxing, physioball (Resist-a-ball), hi/lo aerobics and more. She has been teaching pilates since 2004 and has an established clientele of private clients along with several mat classes. Tracey continues to teach at the Festival Ballet, Brown University, and in private homes. Christine was first introduced to pilates in New York at Broadway Dance Center. Since then it had been an interest of hers to someday be a pilates instructor, “It just made sense.” It had never been the right time or place until she met Cheryl here at Providence Pilates Center. Christine is thrilled to be a part of the team and to have found her pilates home. Christine is Power Pilates Certified in mat and equipment. Her other certifications include barre, spin and TRX. Christine holds a BFA in Dance from the Boston Conservatory. She danced professionally for 15 years in Boston, New York and Las Vegas. The grande finale of her dance career, being a Las Vegas Showgirl. However, the highlight was to perform and travel the world on Holland America Cruise Lines with Anita Mann Productions. Christine had also been given the opportunity to share her knowledge of dance by serving as a judge with Star Systems National Talent Competition for seven seasons. Christine’s goal with Pilates is to guide people to stand taller, prouder and to feel good about themselves inside and out. Amie’s passion for exercise led her to start teaching group exercise classes in 1997 when she was a college student. She has taught many different types of classes including step, aerobics, kickboxing, water aerobics and spin. She is a certified spin instructor and has also worked as a certified Personal Trainer. Amie started teaching Pilates mat classes while living in the Boston area in 1999. She was a special education teacher and often taught classes before and after work. She became certified in mat and equipment Pilates in 2000 after moving from Boston to Florida. There, she worked at the Polo Club of Boca Raton teaching private Pilates sessions helping clients relieve their back pain and preparing them for their Tennis and Golf activities. After moving back to RI in 2006, Amie taught at many local studios including Cheryl Turnquist’s first location in Providence. Abbi has been involved with the fitness industry since the late 1980′s. She discovered Pilates over 12 years ago to improve her conditioning for sailboat racing. Her skepticism faded as her body changed session by session. Abbi pursued Pilates with Cheryl and completed the comprehensive program through Power Pilates in 2006. She expanded her Pilates work and has a post-rehabilitation certificate through Pink Ribbon Program specializing in breast cancer rehabilitation. In addition to Pilates certifications, Abbi is a certified Personal Trainer through National Strength and Conditioning Association (NSCA), TRX Suspension Training and Resist-a-Ball. Abbi is an avid sailboat racer and skier who encourages her competitors and friends to join her in learning the work that helps her excel. Leslie took her first Pilates mat class in 2005 and was hooked. She has been dancing and performing since childhood and found Pilates to be the perfect core strengthening program for her. Leslie received her first Power Pilates certificate in 2008 in Mat Pilates and made the decision to further her Pilates education with a Power Pilates Comprehensive Certification in 2015. She is also certified in AFAA Group Exercise, Les Mills Body Flow and Barre Body. Leslie danced professionally with Moving West Repertory Dance Theatre for a number of years and continues to perform in community theater and choreographs and performs in dance performances throughout the state. She also teaches dance classes, including tap, jazz, contemporary, bellydance, and Hawaiian hula and sings with the Alliance Francaise Chorale. When not performing or teaching, Leslie works for Lifespan Corporate Services as an Accreditation Specialist under the Operational Excellence Department. She lives in Providence with her husband, Ed. Jacqui is a certified Pilates instructor in the Classical Method. She received her training from the Jen McWalters Studio where she previously taught. She is happy to be back teaching in Providence after living in Massachusetts for the past two years. She lives in Oak Hill with her husband and two year old son. She was a member of 23 time United States National Champion Synchronized Skating team, the Haydenettes from 2002-2006. It was an honor for her to represent Team USA at 4 world championships. Jacqui was introduced to Pilates as a young athlete to increase core strength. She also used Pilates to rehab and strengthen her knee after an ACL reconstruction in 2011. Her favorite Pilates exercise is Teaser on the Reformer. She believes it combines all of the Pilates principles, Breath, Precision, Flowing Movement, Control, Centering and Concentration. Jacqui loves the challenge of the carriage moving beneath you, using the straps, all while trying to balance on the Long Box as you find a Teaser position. Sandra was first introduced here at the Providence Pilates Center and was sold on the Power Pilates methods. Sandra spent 20 years in the banking world, learning how to listen to clients and assist them in making decisions about their future goals. When it was time for a change, she looked towards her love of fitness. After taking her first Pilates class, she knew she had found it. Now she is excited about sharing her love and knowledge of Pilates with clients to help them find their core strength, increase their flexibility and improve their overall well-being. While she likes all the types of class, her favorite is the reformer. She believes this provides the best integrated workout for the entire body. 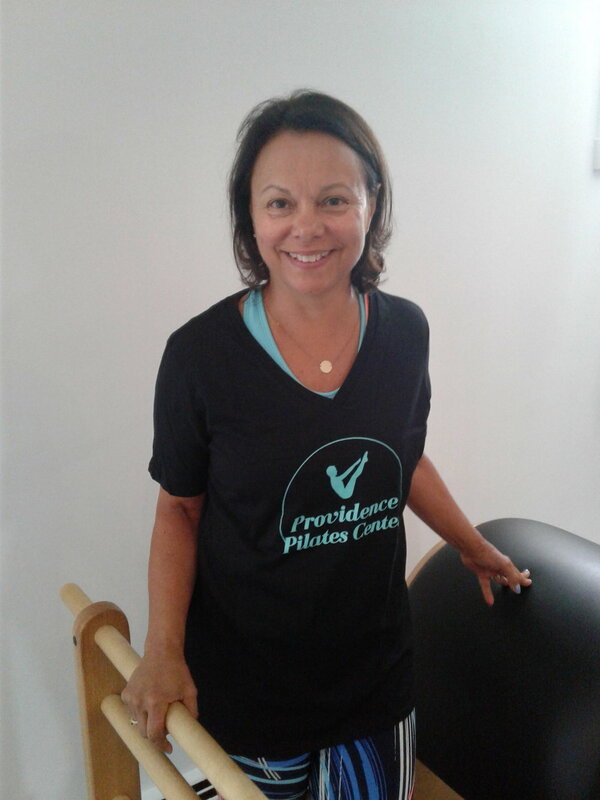 JoAnne is thrilled to be teaching at Providence Pilates Center. She looks forward to teaching and learning. JoAnne started taking Pilates class while training for a 100-mile bike ride, to benefit the Leukemia and Lymphoma society. After all those miles on a bicycle, she realized she needed something more to help stretch and feel balanced. She began with Pilates mat classes and quickly found that even though the class appeared easy and simple, it was anything but. Joe is thrilled to join the staff at Providence Pilates and use his love of dance in the mat classes. Joe found Pilates technique while in college, and when he was first introduced to Power Pilates, he was sold! His background is originally in Theatre and Dance, and he has been performing since he was 4-years-old. Joe believes that Pilates is “exercise-in-context” for the performer, incorporating all aspects of movement, breath, control, and precision. A native Rhode Islander, Joe has performed regionally as a singer, dancer, and actor. He is a practicing Dance Teacher and Choreographer, giving instruction in Ballet, Jazz, Tap, Modern, and Musical Theatre. Joe holds a BA in Musical Theatre and a minor in Dance from Rhode Island College, were he was an active member in both the Musical Theatre Company and the RIC Dance Company. When Joe isn’t teaching or taking class, he is most happy spending time with his friends and family, and eating good food! Gina Allard was hooked on Pilates after her good friend introduced her to Power Pilates mat class. Gina received her Power Pilates Mat level 1 certification in 2012 and in 2013 she received her Mat level 2 certification at Providence Pilates. She has been teaching mat classes in South Kingstown for the past 4 years and recently joined the Providence Pilates staff teaching Mat on Sunday morning. Gina retired in 2016 from a career as a Laboratory Scientist and has decided that now is the perfect time to further her Pilates career. She is very excited to learn the equipment and to share her experience through teaching others. Gina lives with her husband in Narragansett and enjoys spending time with her family, especially her granddaughter Nora. Ellen Weaver Paquette became certified as a Power Pilates instructor in 2010 in both Mat and Apparatus. 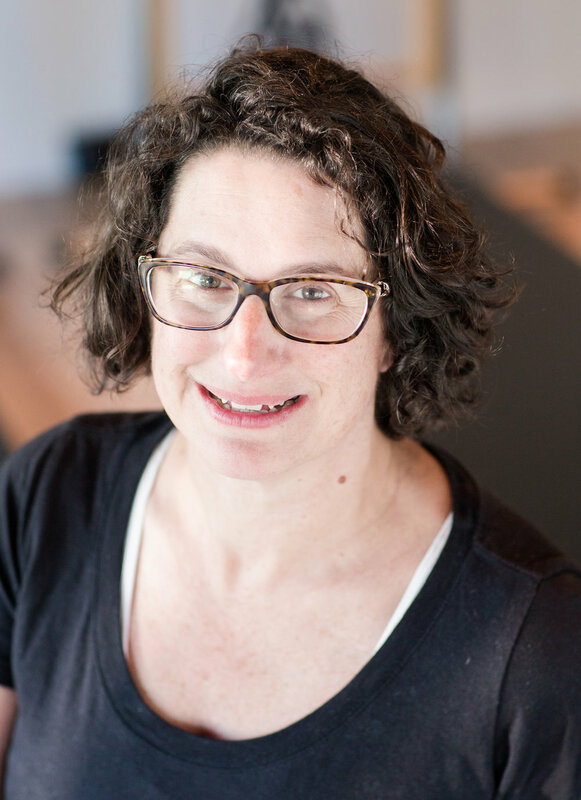 She has taught a wide range of clients in Newport and East Greenwich and is known for using both humor and visualizations in her Pilates instruction. She is presently expanding her knowledge base through additional Power Pilates training while using her classical ballet training to see movement. Ellen is a well-known professional career counselor and adjunct faculty at Rhode Island College in counseling graduate programs. She is a native Rhode Islander currently living in Smithfield with her husband and two kooky cats. Rupa has been dancing since she was a little girl, trained in Indian classical and folk dances. Dance is Rupa’s perfect BFF! The reason for her high spirits and smile! Dancing since she was a little girl, Rupa is trained in Indian classical and folk dances. But her mind and soul is in fusion of ‘Kathak -Bharatnatyam – Folk – Western’ where all different styles are combined to give a SPICY new flavor of dance! Cynthia was first introduced to Power Pilates when her spine surgeon prescribed it as a means of alleviating her lower back pain and strengthening her core. She is passionate about sports and staying active, and played tennis and golf competitively since childhood. Now, her focus and passion in on Pilates. She is certified in Power Pilates Mat 1 & 2 and has now passed 300 hours, working towards 600, of her complete instructor training. Cynthia hopes to target individuals with osteoporosis, spine issues, and lower back pain, and help alleviate their discomfort with Pilates the same way it has helped her tremendously. Cynthia has a BA in Communications and Fine Arts from Curry College and a MS in Mass Communications from Boston University. She resides in Providence with her husband, daughter, and German Shepherd. Cynthia enjoys the fine arts, opera, music, exploring new wines, and traveling to Italy to visit her relatives.